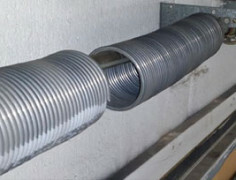 With this comprehensive line of products and our extensive industry experience, our courteous, experienced professionals can outfit you with the right garage door for your unique application. When it comes to garage door maintenance, installation, and repairs, let us do the job you just won’t find better-quality service than Express Garage Doors. Discover the amazing array of top-quality Garage Doors, Door Openers, Aluminum Capping Over Frames, Frames, Torsion and Extension Springs, Cables Replaced and Door Operators. Call now for more info. 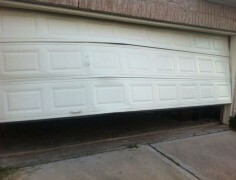 Check our recent Garage Door Repair projects. For over the past 20 years, Express Garage Doors has been serving customers in Toronto, Ontario, Thornhill, Markham, Mississauga, Brampton, Vaughan, Richmond Hill and its surrounding areas. Our staff works hard daily to provide a 100% customer satisfaction guarantee. 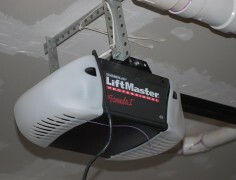 Our elite group of technicians specializes in garage door installation and garage door repair. 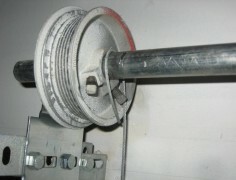 They install and repair cables, panels, pulleys, springs, hinges sheaves, brackets and much more. Our garage door company in Toronto is proud to say that over 70% of our clientele base has heard of us by word of mouth. We aspire to increase that percentage of friends and family referrals in order to uphold our reputation of honesty and integrity. We also appreciate the loyalty of our customers and want to maintain our good client relations by providing premium service with the lowest prices in the entire borough of Toronto. I needed a new garage door and opener a year or so ago and they advised me on the features of the different doors and openers without trying to push me to get the most expensive options. Fast, same day service for my non-functioning door. dave took a look, made a quick fix with recommendations for maintenance and future upgrades with no hard up sell. Will use again.